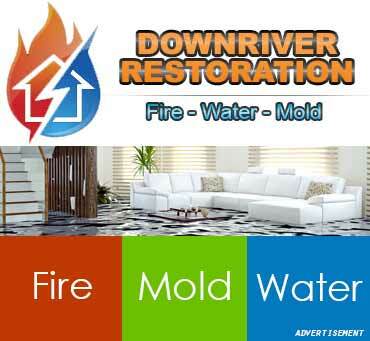 There is nothing as sweet as living under a roof without the fear of unexpected destructions that may come to destroy your properties. 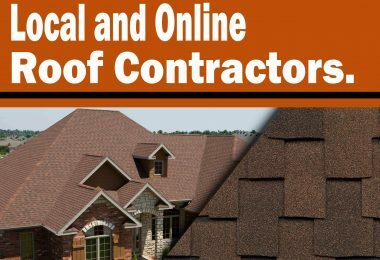 Once your Roofing system in Northville Michigan undergoes damages that need the service of a roofing contractor Northville Michigan for replacement, another expense is set to be incurred. 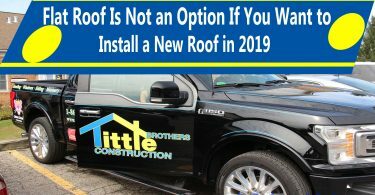 New roofing materials would be required, and you may have to choose between architectural and 3-tab asphalt shingles. 3-tab shingles are one of the most popular shingle types; they’re also known as composition or fiberglass shingle. This type of regular asphalt-based products is called 3-tab because it’s made up of 3 individual tabs/flap which is 12 wide. Architectural shingles are thicker asphalt products with distinctive textured appearance; they’re the premium grade of asphalt shingles. This higher-end product is also known as laminate or dimensional shingles. However, the two roofing types are durable and provide an aesthetic exterior layer for the new roof. The two shingles are good for residential building, but your choice depends on the style preference and level of durability you desired. Thus, I have highlighted the significant factors that differentiated them from each other which the majority had never known. Read this article to see all which has been unveiled. One of the things to know about these two shingles is the weight. The architectural shingles are heavier than 3-tab shingles. 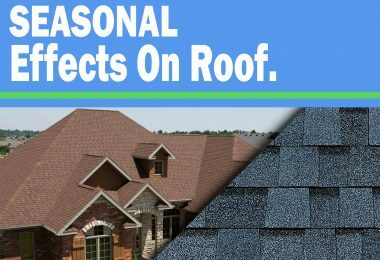 When architectural shingles are installed on your new roof, it will give you peace of mind that your roofing system is heavy enough to withstand high wind conditions. Architectural shingles’ weight allows them to face high wind speed of about 120miles per hour. On the other hand, 3-tab asphalt shingles are not heavy enough to resist winds that is up to 60miles per hour. You can consider installing architectural shingle on your building if you want a strong roof that can withstand high wind. Weather resistance and durability level are other factors that made the architectural and 3-tab roofing shingles different from each other. 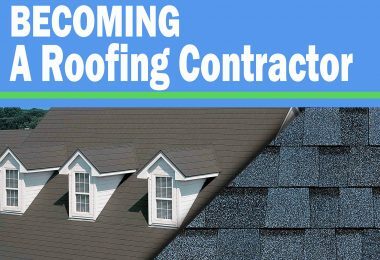 Conventional 3-tab roofing shingles are expected to last up to 30years before roof replacement is needed. 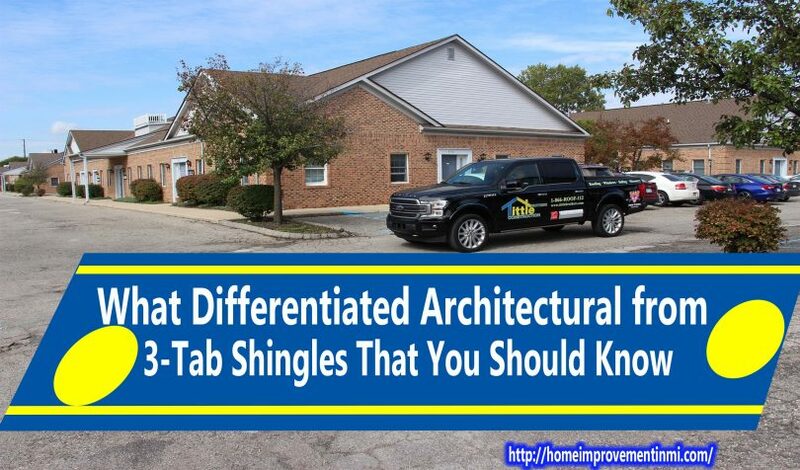 Architectural shingle can last more than the 3-tab shingle. 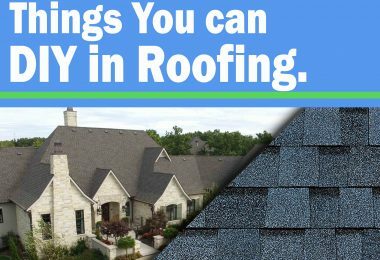 It can stay up to twice as long as that of the 3-tab roofing shingles. 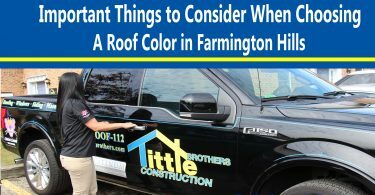 Despite the terrible resistance of sun exposure, rain, and wind, architectural is still the best for your roof if you are considering durability. Style and aesthetic look of the roofing system are what made most of the houses in Northville Michigan look great. However, that is also the major factor that differentiates the architectural and 3-tab shingles. While premium architectural shingles are used for creating a bold and distinctive style, the regular 3-tab shingles will give your roof a traditional appearance. Architectural shingles are the best bet if you want the appearance of wood or tile shingles and still maintain the asphalt price range. However, 3-tab shingle gives the roof more conventional feel and look.